Performers include: Joseph Morgan, Daniel Gillies, Claire Holt, Phoebe Tonkin, Charles Michael Davis, Daniella Pineda, Leah Pipes, and Danielle Campbell. This dramatic series is a spin-off of The Vampire Diaries. A thousand years ago, the Original Vampire family swore to each other that “Family is power.” They pledged to remain together, always and forever. Now, hundreds of years later, the bonds of family are broken. Time, tragedy and hunger for power have torn the Original Family apart. Klaus Mikaelson (Joseph Morgan) is the original vampire-werewolf hybrid and he’s now returned to New Orleans, the city his family helped build. It’s the same city from which he and his siblings, Elijah (Daniel Gillies) and Rebekah (Claire Holt), were exiled a century ago by their relentless hunter father. He’s drawn back by a mysterious tip that a plot is brewing against him in the supernatural French Quarter. Klaus is surprised that the city still feels like home to him — despite the fact that he’s been away for decades. Curious as to why Klaus would return to the one place he swore he would never set foot again, Elijah follows his brother and learns that Klaus’ onetime flame, the beautiful and rebellious werewolf Hayley (Phoebe Tonkin), has also come to the French Quarter. She’s searching for clues about her family history. Hayley has fallen into the hands of a powerful witch named Sophie Deveraux (Daniella Pineda). When Sophie reveals to the brothers the unbelievable news that Hayley is carrying Klaus’ unborn child, Elijah realizes that the Original family has been given a second chance at humanity and the redemption they desperately crave. Klaus is not so easily convinced that a potential heir is of any importance. He’s more intrigued by his recent unexpected reunion with his former protégé, Marcel (Charles Michael Davis). He’s a charismatic but diabolical vampire who now has total control over the human and supernatural inhabitants of New Orleans. Tensions between the town’s supernatural factions — vampires, witches, werewolves and humans — are nearing a breaking point as Marcel commands his devoted followers and rules with absolute power. For Klaus, the idea of answering to his powerful protégé is unthinkable. As Klaus vows to reclaim what was once his — the power, the city and his family — he realizes that Elijah is right and that his unborn child could be the key to the Originals’ return to power. While they wait for their sister Rebekah to join them in New Orleans, Klaus and Elijah form an uneasy alliance with Sophie and her community of witches. Sophie has been turned into a revolutionary by the loss of her own sister at Marcel’s hands, and by the mysterious disappearance of a young witch named Davina (Danielle Campbell). She is willing to do anything – including making a deal with the Original family – to break Marcel’s power over the witches of the French Quarter. Even the human population of the Quarter is unwittingly drawn into this supernatural battleground. A recent arrival to New Orleans, Cami (Leah Pipes) is a whip-smart psychology grad student who appears happy to pursue her studies by day and work nights as a bartender. She’s unaware that many of her customers are vampires. Hiding the dark secret that has brought her to New Orleans, Cami soon finds herself fascinated by both Klaus and Marcel, and totally unaware of the danger that they pose for her and everyone around her. Intent on saving Hope’s (Danielle Rose Russell) life, Klaus’ (Joseph Morgan) plan will change the lives of the Mikaelson family forever. First aired: August 1, 2018. What do you think? 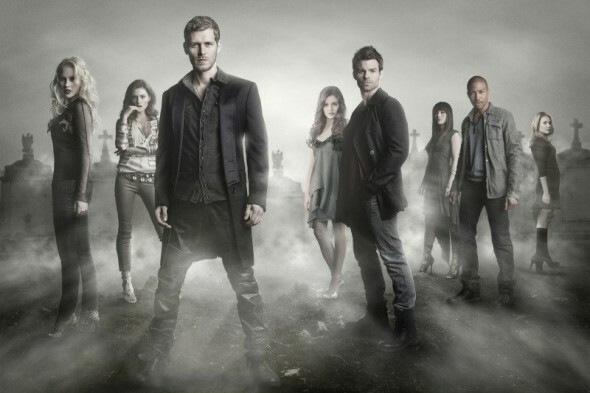 Do you like The Originals TV series? Do you think it should have ended or been renewed for a sixth season?